Samuel Franklin Cody made the first powered controlled flight in the UK on 16 October 1908 and has largely been forgotten today for this historic feat. On 7 August 1913, Cody was killed whilst flying a floatplane that he had designed broke up in mid air and crashed. 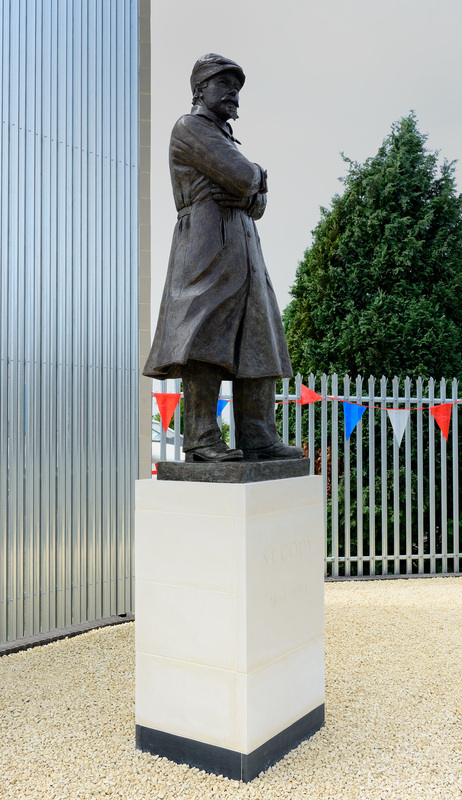 Farnborough Air Sciences Trust wanted to ensure that there was a lasting memorial to Cody and therefore commissioned a statue that was unveiled on 7 August 2013, one hundred years after his death. The statue was unveiled on the day by the legendary test pilot Eric "Winkle" Brown in front of a large crowd and media presence.